Fewer Black Men Applied For Medical School In 2014 Than 1978: What’s Going On? Jeffrey Okonye and Oviea Akpotaire are fourth-year medical students at UT Southwestern. Fewer African-American men applied to medical school last year compared to 1978. To find out why, we talked with medical students and doctors who are bucking that trend. After a long day working with patients at the veterans hospital in south Dallas, Oviea Akpotaire is unpacking groceries with his friend Jeffrey Okonye. Okonye and Akpotaire are fourth-year medical students at UT Southwestern. They’re in a class of 237 people. They’re two of only five black men. Here’s the thing: While there are more black men graduating from college over the past few decades, the number of black men applying has actually dropped: From 1,410 in 1978 to 1,337 in 2014. That’s according to a report from the Association of American Medical Colleges. Every other major minority group — including Asians and Hispanics — saw growth in applicants. 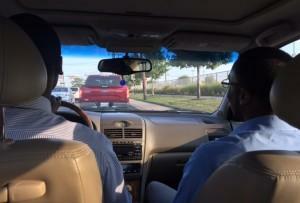 Akpotaire and Okonye are two of five black men in their class of 237 at med school. Increasing diversity among doctors is important for patient health. Studies show people are more likely to follow doctors’ directions on things like medication or exercise if they can relate to them. Dr. Dale Okorodudu, a third-year pulmonary and critical care fellow at UT Southwestern, says making cultural connections can make a big difference. “If you can relate to [patients], it’s a lot easier for them to feel at home and comfortable with you,” he says. For years, Okorodudu has been trying to figure out why so few black men go into medicine. His conclusion: The lack of role models. From music and sports to small business and church, Okorodudu says those professions are right there in front of you. “But when you talk about the medical workforce, none of us are directly there in front of them,” he said. Okorodudu decided to become a doctor when he was 18. A year from now, when he’s done with his fellowship, he’ll be 32. So why’d he take the long route? A desire to care for others isn’t the only thing that Okonye, Akpotaire and Okorodudu have in common. All three have had role models in their families. And all three are the children of immigrants — from Nigeria. Okorodudu says that means the group of 1,337 black men who applied to med school last year is very different from the group in 1978. 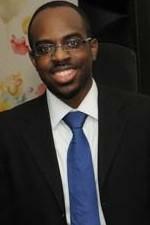 Dr. Dale Okorodudu, president and founder of DiverseMedicine Inc., is a senior Pulmonary & Critical Care Fellow at UT Southwestern Medical Center. Alarming, he says, because we’re neglecting a sector of society – African-Americans who’ve been in the U.S. for generations. That study we mentioned earlier has some suggestions on how to rebuild the doctor pipeline. Among them: create more mentoring programs, invest in education at K-12 public schools, increase financial aid options, and convince medical schools to put less emphasis on standardized tests scores like the MCATs. Okorodudu is trying to help with an online service called DiverseMedicine. Users connect with mentors on chat or video. Sometimes, he says, the key to getting kids interested is simply seeing a black man in a white coat. The U.S. is a bloodthirsty place. More than 12 million pints of blood products are used every year. With high demand and limited availability comes challenges, and business opportunities.